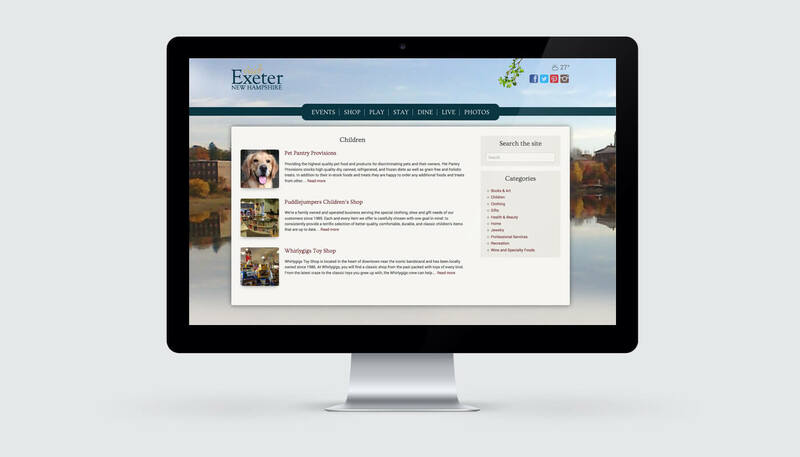 The organizers of the Visit Exeter NH website had a clear vision of what they wanted from the onset. A beautiful, clean, easy-to-navigate website with the main feature being a local events calendar. The site has matured and most recently was redesigned using responsive website design. The social media platforms are an important part of the redesign as well as a new photo page. 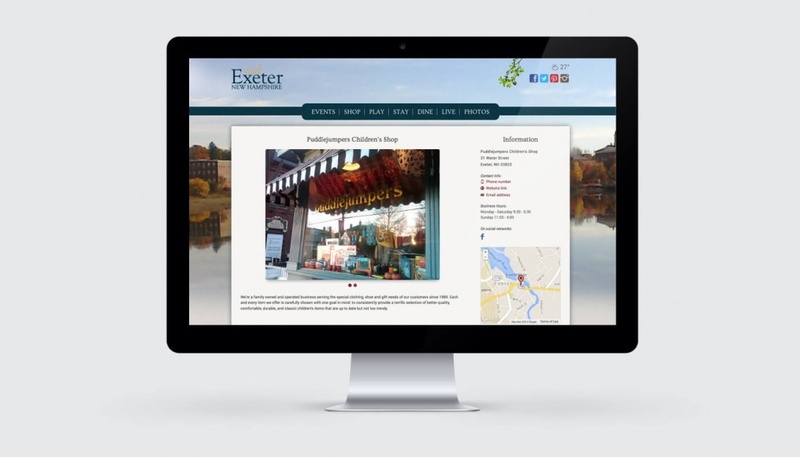 The site, originally designed with locals in mind, has developed a tourist following, so the photo page was key in the promotion of Exeter as a destination. The business listings have expanded and are very comprehensive containing the most pertinent information including an on-line ordering link for those offering this level of functionality.